Communication Matters, LLC is a therapist owned business that delivers high quality, friendly and reliable speech and language related services to the children and adults of Southwest Montana. Communication Matters, LLC is located in Historic Uptown, Butte, Montana. Established in June 2004, it is managed and operated by Jennifer Pierce, M.Sc., CCC-SLP. 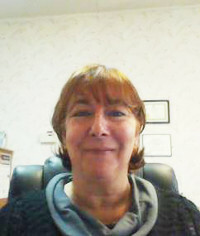 Jennifer is a Montana licensed and ASHA certified Speech and Language Pathologist with more than 25 years experience. She received a BS in Speech Therapy and Psychology from Kansas State University in 1980 and her Master’s Degree in Communication Sciences and Disorders from the University of Vermont in 1986. Jennifer has also lived and practiced in Canada.